Both the Xbox One and the PS4 are going to contain AMD graphics chips, and the company is looking to make multi-platform releases a much smoother process. Multi-platform releases this generation have been a mess, with the PS3's "unique" 7-core CPU, both console's 32 bit architecture, and other discrepancies in hardware making cross-platform ports a nightmare for developers (just look at any Bethesda game released on the PS3). This time around, both the Xbox One and the PS4 will be running on AMD graphics chips, and the company has unveiled its "Unified Gaming Strategy" to make PC ports of console games (and vice versa) a much smoother process. Both consoles will also be packing 64-bit processors, which most respectable PC gamers have been working with for years now. This should theoretically let games run across PCs, consoles, and indeed portable devices, with relative simplicity. This move, while joyus to PC gamers who can only grumble at the near-perfect scores exclusives like The Last of Us are getting, is also very good news for AMD. It's no secret that AMD's processors have been severely lacking as of late, losing out to competitor Intel in almost every regard. While this move won't help it too much there, it may help it catch up to Nvidia on the GPU front, which, according to a recent Steam survey, is only slightly still the majority card for PC gamers. "It is absolutely the end goal to create a development ecosystem where first-party games will be written to the games consoles first ... but providing the capability to leverage that investment into PC market, into mobile form factors, into cloud. 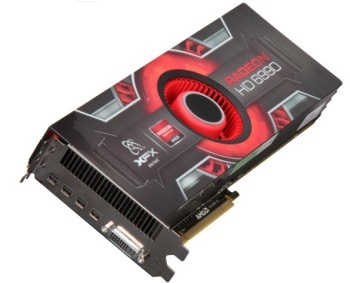 Definitely there's that desire," said AMD's Lisa Su. Su says that AMD's "Heterogeneous System Architecture", a technology where AMD CPUs and GPUs working together can share resources, should help with the process. What this means for folks using Intel CPUs and Nvidia GPUs is yet to be seen. Will we have to suffer under clumsier ports due to our choice in PC components?